Mary Lucy Gray, 99, transitioned peacefully at Westchester Manor and Hospice Care in High Point, North Carolina. She is now in her eternal home with the Lord and Savior. Mary was born September 22, 1919, in Trinity, North Carolina to her mother, Susie Winston and father, Arther Winston. Mary attended Randolph County Schools of Trinity, North Carolina. duties for Carl and Pearl Hill of Thomasville, North Carolina for over 15 years. 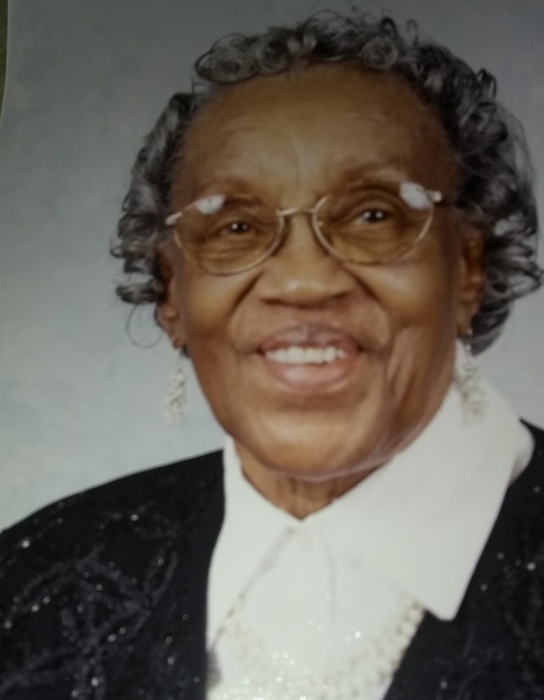 During her own time she was a known seamstress throughout High Point, Trinity and the Randolph County communities. Mary Gray was known for “taking up or letting out” hems for men’s pants, suits and ladies dresses as well as producing tailored made attire for men and women. She would often take the time to produce tailored made suits, jackets and dresses for her children. It was widely known in the community that if you needed sewed, call upon Mary Gray, because she knew what to do with a needle and thread. It was truly her love and passion to see the final product of her work that was often without a pattern purchased at any store. Mary was a passionate cook as well, as she would utilize her God given culinary skills in the church for special events as well providing meals for her family. By choice and force, Mary Gray was very much involved in the community. She was known as one of the best “tobacco tiers” that could place tobacco on a stick which was an important and gifted skill during the early days. Whatever was her lot, she did it to the best of her ability with compassion and dignity. Mary Gray was a long-time member of the Liberty Grove United Methodist Church where she sang in the choir that was comprised of the Liberty Grove United Methodist and Liberty Grove Baptist Church members. For many years she worked in different capacities within the joint Liberty Grove churches. She also was in support of her husband, the late Reverend John Gray, as she shared her gifts and talents within the Collins Grove United Methodist and Holmes Grove United Methodist Churches of Greensboro. Mary Gray worked hard in being the first lady in support of her husband during his pastoral tenure. She maintained a strong family household and in times of illness, she supported her mother, father, sisters and brother. If there was ever one that lived a Christian life through prayer and praise, then it was truly Mary L. Gray. She never uttered a mumbling word of discourse about situations of her own. Her familiar words were often “place it in the hands of the Lord and leave it there”. Mary was proceeded in death by her mother, father and husband, the late Reverend John A. Gray, one daughter, Grace Gray, one son Arthur L. Gray. She leaves her loving memories to be cherished by her daughter, Rachel L. (Robert Brown); son, Rev. John C. Gray/Beverly and son, Duncan C. Gray. Three grand-daughters, Lisa Barrino, Tonya Gray Brown, Chelsea Gray; two grandsons, John C. Gray, Jr., Dron Gray; two step granddaughters, Sonya Neal and Romonia McNair; two step grandsons, Zachery Sanders and Kevin Sanders; great-grands four boys, five girls; great-great grands one boy one girl; one great-great-great grandson and a host of nieces, nephews, cousins and devoted friends. Also the Caregivers from Brookdale Senior Living as well as Westchester Manor and Hospice Care facility and an adopted family of Bobby and Sandy Royal and their daughters. A Celebration of Life will be held at 11:00am, Saturday, April 6, 2019 at Liberty Grove United Methodist Church 5581 Liberty Church Rd., Trinity. Burial will follow at the Liberty Grove Community Cemetery. The family will receive visitors and friends from 10:30 to 11 0'clcok at the church prior to funeral service.